The Recreation Committee holds its regular meetings as needed – Contact Deanna Judkins for schedule. 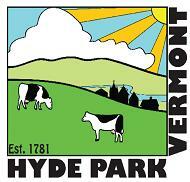 Dogs are not allowed on Town of Hyde Park recreation fields. Please obtain a copy of the Park Rules from the Committee and fill out the Town’s Facility Use Policy for reservations of the fields.